Previously a freelancer for Rip It Up magazine and Glam Adelaide, I pride myself on having specialized skills in copywriting, proofing, photography and social media with an active interest in popular culture spanning across travel, film, food, music, health and fitness. 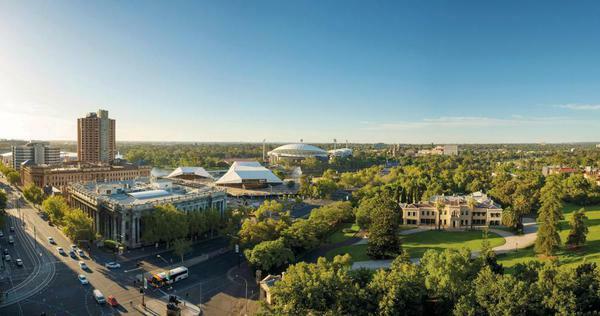 Adelaide’s reputation as a must-visit destination has been firmly cemented with international accolades from travel-trendsetters. Vogue declared Adelaide as one of their top ten places to travel in summer and Lonely Planet ranked South Australia among the world’s top five must-see destinations. With our picturesque Park Lands, a world-renowned events and festivals calendar and a dynamic food and wine culture, it comes as no surprise. “The city of Adelaide is South Australia’s most visited destination and a gateway to our world-renowned regions and the Australian outback,” says Lord Mayor Martin Haese. From March 2017 to March 2018, international visitation to South Australia increased by 9% with 475,000 international visitors. Adelaide welcomed 84% of those visitors who stayed for an accumulative 8.5 million nights, proving the allure of our city’s offerings. The Adelaide Airport is in the throes of a $165 million expansion of its main terminal to provide an internationally competitive experience for passengers. The expansion is expected to attract more flight paths and additional services from international carriers. CEO of Culshaw Group of Companies/Majestic Roof Garden Hotel, Eoin (Owen) Loftus believes international visitor expenditure is critical for his business – representing approximately a third of his guests. “International markets often stay longer, spend more and disperse into our regions which is most important. Solid international base of clientele, helps diversify our market mix enabling more steady flows of guests right throughout the year,” Mr Loftus said. Incentive tourism groups are a growing and lucrative market for Adelaide and South Australia. Unlike other business events, incentive tourism is usually conducted purely for entertainment rather than educational or professional purposes. In June 2017, a group of 2714 delegates from a direct selling company in China visited over a two-week period and generated $11.2 million in economic benefit. Adelaide and South Australia are becoming recognised as a destination of choice for these incentive groups. The substantial growth of visitors to Adelaide is reflected in the expansion of luxury accommodation options. Global brands such as Sofitel Hotel, Crowne Plaza and Marriott's Westin are entering the marketplace alongside plans for Adelaide Casino to incorporate a hotel offering in its $330 million expansion. Visitors with discerning palettes are flocking to Adelaide to experience the gourmet food and wine journey firsthand, with South Australia accounting for 61% of Australia’s total wine exports in 2017. A JLL Australia report has also revealed that Adelaide's gourmet hospitality offerings aren't just delicious but also a key driver of local real estate development, tourism and retail spending.>span class="MsoSubtleEmphasis"> “Our food and wine offering, abundant local produce and emerging laneway and small bar culture have encouraged city vibrancy and provide a reason for visitors to come and experience Adelaide” says Lord Mayor Martin Haese Find out more about the local tourism industry in the Visitor Economy Action Plan. South Australia, widely known as the Festival State, boasts an annual program of over 400 globally renowned events and festivals. The arts are thoroughly celebrated through the Adelaide Fringe, WOMADelaide and Adelaide Festival. As a UNESCO City of Music, music is an integral thread with the delivery of the Adelaide Cabaret Festival, which is the largest cabaret festival in the world, and the Adelaide Guitar Festival which is the most significant guitar festival in the Southern Hemisphere. Sporting enthusiasts from across the globe flock to Adelaide for the Santos Tour Down Under, the first event to join the prestigious UCI WorldTour outside of Europe, and the Adelaide 500 motorsport event. Major events and festivals invaluably contribute to the culture of South Australia and the resulting economic benefits are notably significant. The annual event program attracts domestic and international visitors and participants from across the globe that fuel the tourism, hospitality and retail sectors. There are no signs of demand subsiding, with many festivals experiencing substantial year on year growth. 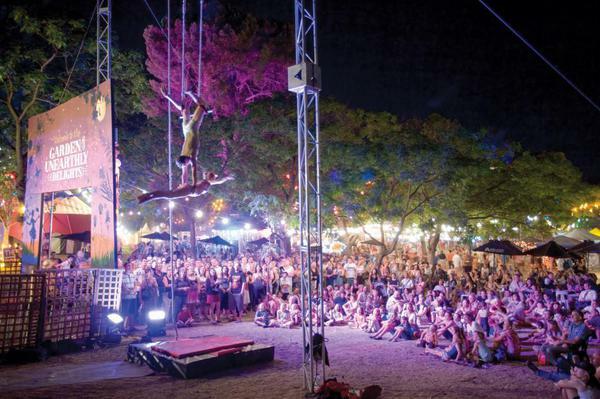 As the second-largest Fringe in the world, the Adelaide Fringe is the highest ticket selling multi-arts festival in Australia and has doubled its economic impact since 2011. Ticket sales exceeded 700,000 in 2018 with a box office value of $16.6 million and a total of 2.7 million attendances across free and ticketed events. The Fringe attracted 20,244 total visitors to the State in 2018, up from 18,655 in 2017. This resulted in an injection of $29.5 million of new money into the South Australian economy, up from $24.3 million in 2017. Celebrating 20 years in 2018, the Adelaide 500 generated $41.9 million in economic benefit and attracted in excess of 270,000 attendees to the city. The event has brought global superstars such as Robbie Williams and KISS to sell-out crowds. It has accumulatively provided nearly $550 million in economic benefit since its inception in 1998. As a major sponsor of these events, among many others, the City of Adelaide continues to grow its reputation as a city committed to delivering unique experiences while capitalising on their far-reaching economic value. 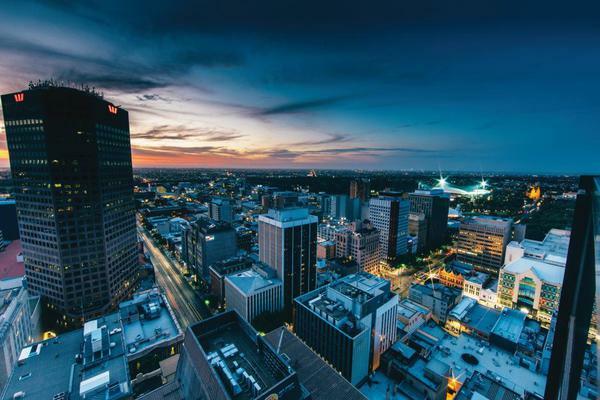 When it comes to technology, Adelaide is leading the way in this field yet again with the smart city focusing its sights on Artificial Intelligence. The Australian Institute of Machine Learning is at the forefront of this revolution with the city and state set to benefit. The institute, established by the University of Adelaide, is placing Adelaide and South Australia on the global map of the world’s best centres of excellence in machine learning. They aim to build on and realize the full potential of the investments such as the South Australian Health and Medical Institute (SAMRHI), defence industries, as well as priorities such as the Royal Adelaide Hospital. Furthermore, the institute is attracting the world’s best and brightest to come and work and study in South Australia. World-class education in artificial intelligence and machine learning is going to be in high demand globally, and Adelaide has a chance to be one of the top ‘go to’ destinations. Professor Anton van den Hengel is the Director of the Australian Institute for Machine Learning and believes Adelaide has the rare combination of a high quality of life and world-class research and education in machine learning and artificial intelligence. “It’s the perfect place to study or start a company in this incredibly dynamic area.” Professor Hengel said. With the highest number of machine learning researchers of any university in Australia and recently winning the Amazon picking/packing challenge, Adelaide serves as a highly investible city for the A.I boom. Head of Adelaide based AiLab, Dr John Flackett also sees a strong future for AI in the smart city. “From space to autonomous vehicles and agriculture to smart city projects, it’s exciting to see the current interest in Artificial Intelligence in Adelaide. “ “I believe Adelaide has the opportunity to be the AI leader in Australia.” “Homegrown resources such as the Australian Institute for Machine Learning and AiLab are helping with AI education, awareness and support, and the City Council, with Ten Gigabit Adelaide, are actively building the infrastructure required to develop and deploy powerful AI solutions,” said Dr Flackett. 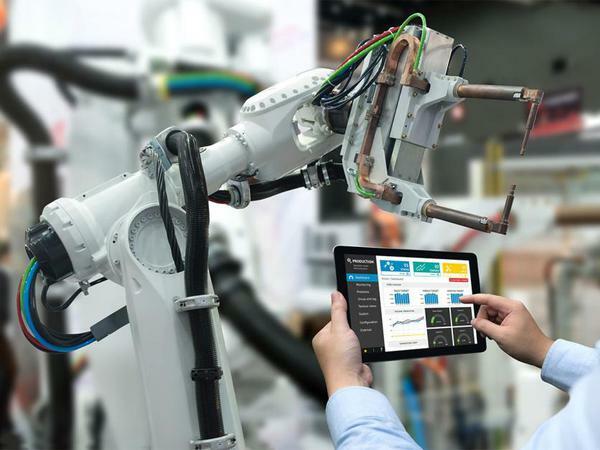 With artificial Intelligence having the potential to increase productivity by 40 per cent and projecting to contribute up to $15.7 trillion to the global economy in 2030, Adelaide has the capacity to capitalize on this revolution. South Australia has received an influx of defence jobs and attention thanks to the recent boom in shipbuilding and air force base development. South Australia and the defence industry have together gained significant media coverage, featuring as a powerful partnership. In addition to the defence industry impacting the entire state, it will also have a significant impact on the City of Adelaide. Lord Mayor Martin Haese believes there are significant opportunities for the defence industry to leverage what will be Australia’s first 10 Gbps fibre optic network. “Through the Ten Gigabit Network, the City of Adelaide is establishing Adelaide as one of the fastest connected cities in the world – by the time we connect just 500 buildings, our city will be leading the way as one of the fastest and most affordable connected cities in the world,” said the Lord Mayor. As 21st century defence projects are all about global collaborations, this state of the art infrastructure will aid in improving the amenity in CBD and enabling it to support such interconnectedness around the globe. “We have had some really positive conversations with several defence personnel and departments and the opportunities Ten Gigabit Adelaide will enable are immense.” said the Lord Mayor. City of Adelaide’s Associate Director, Information Management Peter Auhl is a firm believer that there can be huge opportunities to be capitalized on within the defence sector, with an example being advanced robotics delivered remotely. “With the Naval Group in France, remote assistance can provide advice on a submarine build in real time, without the need to be right next to the infrastructure. We have presented to the French Australian Chamber of Commerce and the opportunity this infrastructure presents to forge a stronger economic relationship is immense.” The nature of this revolutionary infrastructure will provide an added dimension of safety and security for defence projects. “Obviously that is something that we are really conscious of, we want industries such as defence to trust and access this infrastructure capability”. “We understand 21st century defence projects are all about global collaborations and we are building the infrastructure and amenity in the CBD to support such interconnectedness across the globe” says Peter. Within the City of Adelaide there are currently 130 full time employees in the defence industry, and once the Ten Gigabit Network goes live, this number is expected to soar. Prepare for a game changer in the defence industry. The City of Adelaide has a well-deserved reputation for its world-class cultural and sporting events, unsurpassed food and wine, and all-round livability. But there’s another vibrant sector gaining international accolades: the film and special effects industry. Rising Sun Pictures is one particular local business that has grown from a modest 4-person operation to a thriving studio of 200, with a client list comprised of major Hollywood studios, and a crop of international awards. RSP, as it’s known, provides inspirational digital visual effects to the makers of feature films, television and streamed programs all around the world. The studio’s work can be seen in over 100 major projects, including blockbusters such as Gravity, Pirates of the Caribbean: On Stranger Tides, and Harry Potter and the Goblet of Fire, to name just a few. Co-Founder and Managing Director of RSP, Tony Clark is an Emmy Award-winning Cinematographer and has an incredible passion for what he does. “Rising Sun’s founders started the business in a tiny shopfront in the suburbs and we grew rapidly into the surrounding buildings, then the CBD. Seeing the business and the incredible talents of our team grow to reach the highest international standards is an incredibly humbling experience.” “The work we do in Visual Effects is very much in demand globally. New growth is being driven by outlets such as Netflix and Disney’s streaming service, and markets like China where their local skills aren’t yet as developed as our own. The potential to combine our wonderful lifestyle here in Adelaide with these cutting-edge opportunities means there’s plenty of room for the industry to expand and embrace emerging technologies like Virtual and Augmented reality.” “RSP has come a long way in 23 years, but there are still a lot of exciting new developments to come: it’s such a rapidly evolving industry.” Tony said. Lord Mayor Martin Haese believes Adelaide has a growing talent base of creative businesses and entrepreneurs. Lord Mayor Martin Haese believes Adelaide has a growing talent base of creative businesses and entrepreneurs. “It truly is wonderful to have such talented companies, both emerging and established, making their name heard across the globe and continuing to draw eyes to Adelaide” said the Lord Mayor. From dog festivals, record-breaking dog photos, dog-friendly menus and more, it’s probably fair to say we’re barking mad for all things dog-related in Adelaide. We’ve compiled a list of the top dog-friendly venues where you’re welcome to bring your pupper. If you know of a place we haven’t mentioned, let us know on the Glam Adelaide Facebook Page. Alter Ego & Co, Goodwood Complimentary homemade bone-shaped dog treats made from natural and organic flour, oats, black flaxseed, peanut butter and turmeric are on offer here. You can even buy a bag of them, $8 or $12. Bacchus Wine Bar, Henley Beach Includes a dedicated “pooch park”. It’s got toys, plants and water bowls, and leash clips are also included in the outdoor seating area. Brighton Jetty Bakery, Brighton After you take your pooch for a swim down by the water, relax at this beachside bakery with some scrumptious treats. Fawn Coffee, Adelaide You’ll always find a water bowl to quench your pups thirst here and a side door for quick takeaway orders as well. Most importantly the cafe recently added pup-a-cinos to their menu too! Five Little Figs, Payneham South Chill out with a coffee at Five Little Figs while your furry friends enjoy some free treats and puppychinos. Fred Eatery, Aldgate For those in the hills, this eatery offers free dog biscuits, or even a doggie latte of lactose-free milk with a dog biscuit and turmeric sprinkled on top. Your dog will be frothing! Houndwave, Adelaide This is a free, family friendly community event for humans and their canine furry friends, and will be held in Light Square on the 1st April 11-5 pm, to raise money RSPCA South Australia and the Animal Welfare League SA. Lamb Spit BBQ, Semaphore Treat yourself and your best friend to a yummy yiros down by the water. They offer doggie packs of plain lamb yiros in sizes of small $5, medium $6, and large $8. Light Bulb Cafe, Goodwood Escape the business of the city in this tasteful contemporary cafe. With a gorgeous leafy courtyard, it makes for a perfect choice to dine with your four-legged friends. Little Bang Brewing Company, Stepney Dogs are forever welcome at Little Bang Brewing Company in Stepney. Better yet they’re allowed around all areas! So enjoy a crispy cold beer with your furry friend at this neat bar. Nest Bistro, Walkerville Pop down to Nest Bistro and enjoy a cup of coffee with man’s best friend. Royal Copenhagen, Henley, Brighton, Semaphore Reward your pup to a cup of frozen natural yoghurt mixed with peanut butter, honey, banana and a dogbone biscuit on top for $3.90. Available at three amazing locations as well! Stanley Bridge Tavern, Verdun All dogs are welcome in the beer garden here, which sits next to a stunning creek and is perfect for a cold beer in the warming summer weather to come. Sublime, Clarence Park Free Schmackos treats, bowl of meat offcuts for $2-$3, and a grass mat for comfort. What more could you want for your furry mate? The Curious Squire, North Adelaide With its own “Curious Paws” menu created specifically for dogs featuring the Woof Burger, Rocky Road and a classic Pig’s Ear, The Curious Squire in North Adelaide creates a whole new meaning for the term dog-friendly. They are also welcome in the outdoor dining area as well. The Grand Bar, Glenelg A great beachside venue to chill out with your pet while you bask in the beautiful sunset. Whipped Bake Bar Cafe, Semaphore At this seaside cafe, water bowls are provided for visiting pooches, the wait staff will most likely fall in love with your dog, and the human food served up is all sourced with locally grown ingredients too! Whistle & Flute, Unley For those southeast of the city, this courtyard setting is perfect for your canine companion as they have their own dedicated drinking area with a tap and bowl. Furthermore, the high communal tables here will lower the chances of your dog sharing your food. Hybrid World Adelaide, South Australia’s inaugural digi-tech festival and the Adelaide Crows, will partner to promote the growing eSports phenomena this October. The Adelaide Football Club made Australian sporting history in May by becoming the first mainstream sports organisation in the country to buy a professional eSports team. The Crows purchased professional outfit Legacy eSports – one of Australia’s eight top-tier teams that competes in the Oceanic Pro League playing the game League of Legends. Hybrid World Adelaide, which will run from 4-8 October, is also dipping its toe in the world of competitive video gaming, working with League of Legends game developer, Riot Games, to present a high school League of Legends tournament in a purpose-built LAN during the public program from 6-7 October at Tonsley. HWA and AFC signed an MoU, agreeing to work together to promote eSports in South Australia as a form of entertainment, and as a pathway to educational and economic benefits. AFC will support HWA’s eSports activity with Legacy player appearances and demonstrations, and commentating (or ‘shoutcasting’) by Tim Wendel, Legacy Head of eSports. “We are very excited about this partnership with such an innovative festival in its inaugural year, which gives us the opportunity to bring to life our Club purpose of ‘bringing people together to achieve great things’, and showcase some of our best Legacy talent, with Riot Games. Hybrid World Adelaide and the SA Government recognise that esports is quickly growing in Australia, and will be an important part of the future sporting landscape”, said Nigel Smart, COO, Adelaide Football Club. HWA and Riot Games are presenting the first ever high school LAN tournament in South Australia, where school teams will meet up in person to play collectively. 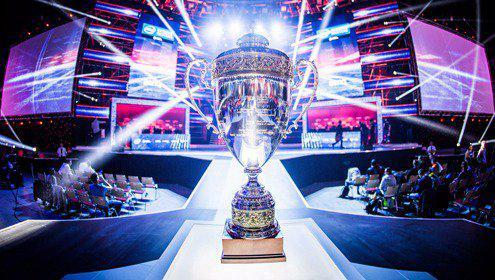 This will be the first such tournament supported by Riot’s world-first High School League of Legends Clubs initiative. Every high school in South Australia is invited to take part in this initiative, that will also promote excellent play and behaviour online. League of Legends is a video game created by Riot Games in 2009 which has become the most popular game in the world with 100 million players. The game pits two teams of players against each other on a mission to destroy the other team’s Nexus (base). Hybrid World Adelaide will take place from October 4-8 at the Tonsley Innovation District and is predominantly free. For more information, visit www.hybridworldadelaide.org. New Chicken Salt & Meat Pie Flavour Pringles - Yeah, Nah? 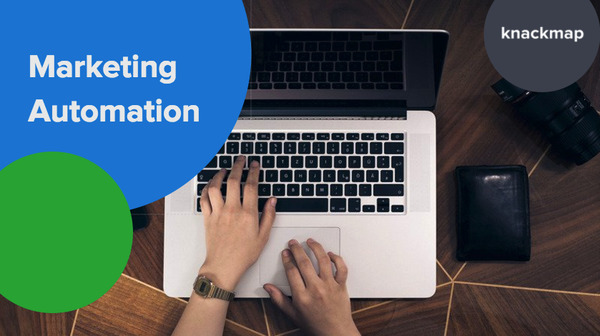 Marketing Automation: What is it really and how can it affect and improve your business? 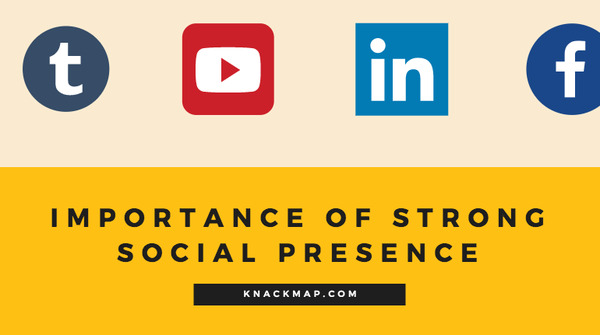 Why there is such an importance to having a strong social media presence for your business. In retrospect, its quite amazing to think how quickly Social Media came onto the scene and swept the world, changing the marketing ecosphere forever. It wasn’t too long ago now that businesses relied heavily on other strategies like word of mouth and email marketing to get their message out to their target audience. While these fundamental approaches still remain important, they aren’t the number one way to increase your reach for your business and what you are delivering. That golden mantle now belongs to Social Media. Social Media first came onto the scene several years back in the form of now defunct sites like MySpace where the original design was for people to create their own personalized page and digitally interact with friends. A number of years later we saw the rise of Facebook, which completely took over the world and changed the lives of everyone. Fast-forward to today and we now have an abundance of platforms in addition to Facebook, such as: Instagram Google Plus Linked In Twitter YouTube Pinterest Originally all of these tools were utilized for personal and friendly needs with exception to LinkedIn, however it didn’t take long for businesses to recognize the potential that could be harnessed through digital social interaction. 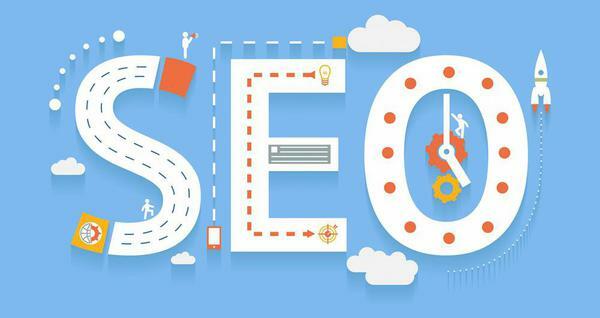 Businesses and marketing agencies soon realized the critical importance behind utilizing these platforms and jumped on board. All of the aforementioned social media platforms can be utilized in many smart and engaging ways for you and your brand. In this blog, I will touch on three of the most important forms in my mind being Facebook, Twitter and LinkedIn. FACEBOOK Firstly, lets look at Facebook. Out of all the social media tools available in the world today; it is has the biggest install base by far. In a study released earlier in the year by Facebook they stated that there are over over 16 million active users in Australia. Just think about that for a second.. 16 million people when our nation’s population is around 24 million! That is quite astounding. If you’re an Australian business, you could look at that as several million reasons to build up your profile and get active on it. Now of course you shouldn’t expect to reach every one of those people, but if you can grasp the smallest percentile in your state in your suburb, then that is more eyes on your brand and product in the end, which is always a positive right? Lets use a construction business as an example for why Facebook would be a great option! With your page, you can use it to promote all of your weekly developments and builds going on with handy photos and videos to give consumers a taste of what you have to offer and what your style is. Additionally you can drop in casual posts from time to time about some of the services you offer and relatable stats, such as how many clients you have and the number of houses built etc. It is a perfect way to advertise your product! Facebook is very simple to use and would be where you would want to capitalize on first. TWITTER Secondly, lets move on to Twitter. Twitter is fairly different to Facebook. It is great for sending out short and sweet messages in under 140 characters or less. Through incorporating smart hash tags and creative taglines, you can easily get your message out to the public, whatever it may be. For instance, if you are local tile shop in Adelaide, and you want to broaden your appeal, a simple tweet for yourself could read something like “@AdelaideTiles are now open 7 days a week and offer great affordable prices on our range #Adelaide #tiles #SouthAustralia”. It tells people who you are, what you offer, when you are open and where you are based in less than two sentences. What a great way to attract people to your brand! What’s also good about twitter is that there isn’t a whole lot of maintenance to be required with your page either! It’s more about delivering your message in a clear and straightforward way. I definitely recommend Twitter! LINKEDIN Lastly, there is LinkedIn; it is very different to the aforesaid social media platforms as its design is predominantly for businesses and professionals to interact with one another. In saying that, it is still an exceptional way to attract clients and consumers to your brand. It operates very similar to Facebook in the sense of having a page and managing it, however it is used predominately for professional purposes. It is a great way to connect and network with people also, meaning there are several positive outcomes just waiting to be grasped by joining LinkedIn. So whether you are in the construction or retail or even the medical field, LinkedIn is an incredibly vital element to broaden your appeal and outreach. It’s definitely worth your time to join. So there you go. I hope after reading through this, you now possess a better understanding of why Social Media is so important for you and your business in today’s modern day and age. It is perhaps the finest and simplest way to communicate what you have to offer to your target audience in an effective and direct manner. Whether you are a locally run painting company in the northern suburbs of Adelaide or a major national construction company spreading all across Australia, there are many positives and benefits to increasing and managing a strong presence in the social media world. If this has you interested and you are keen to get started. Have a chat with us here at Knackmap to see how we can help you through Social Media Marketing. Email us at help@knackmap.com or give us call at 08 8120 0586. 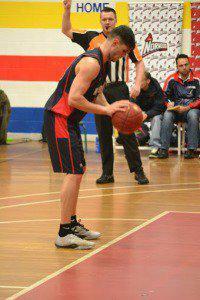 The star combo of Mitch Creek and Alexander Starling proved to be too much for the Norwood Flames to handle, going down by 21 points at Morphett Vale on Saturday night. Despite the outcome, it was relatively even from the start. Both sides were quick to etch their name on the scoreboard making for a fast paced first quarter. Starling quickly showed his intentions to impress on the night with an exciting slam-dunk out of nowhere, instantly firing up his side and the crowd. Notwithstanding, Norwood managed to keep their composure and sink the baskets they needed, closing out the first quarter as leaders by 5 points. Unlike the start of the first period, it was fairly tight in the early stages of the second quarter. The defensive work from both Norwood and Southern kept each other from scoring due to several consistent blocks. Benjamin Howell managed to break the trend off a defensive rebound and score first for the period. Shortly thereafter, Starling retaliated with a solid basket of his own. Noticeably quiet in the first period, Mitch Creek exploded in the second with a trio of baskets in a row. With 7 points being scored within mere seconds for the Tigers, Norwood Head Coach, David Cooper called for a timeout. Unfortunately for his side, not much changed afterwards as the Tigers continued their impressive ways in the remaining minutes of the period. Their teamwork and swift ball movement allowed them to level the score at halftime setting up for a major second half. The momentum instantly carried over to the Tigers corner as Jordan Dodman was first to score a basket and another slam dunk by Starling who was on fire. 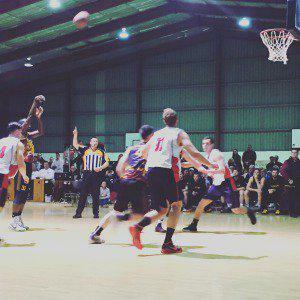 Creek also played exceptionally well, shooting several three pointers to boost his sides’ already favourable lead. The Flames were trying their hardest to handle the immense pressure brought to them by the Tigers and their home court advantage but still found themselves trailing by 12 points at three quarter time. In what was a fast paced and exciting first three quarters, the final period was anything but the same. Fouls were being handed out for physical contact and free-throws were being rewarded all too often making for a slow ending to what was a phenomenal match. Eventually the final whistle blew and the score was set in stone seeing the Tigers claim victory 84-63 in a red hot semi-final. Mitch Creek and Alexander Starling played exceptional basketball on the night. Creek had 31 points to his name while Starling had 20 rebounds. It was clear these two stars were a major reason for their side being victorious. Regardless of the loss, Jacob Holmes played well for his Flames scoring 20 points and 15 rebounds and the Flames face Sturt Sabres in the Preliminary Final next week. Southern Tigers will meet the winner in the Grand Final in two weeks’ time. 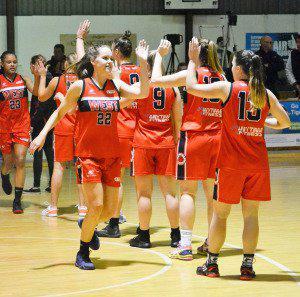 In the first round of elimination finals, West Adelaide managed to hold on against a courageous Southern Tigers side and secure victory by 12 points at Morphett Vale. The hometown favourites were first to capitalise on this special night with a shot made by Mollie McKendrick. Denelle Fawcett followed suit with a shot of her own until West Adelaide retaliated, sinking a three pointer to make their presence felt. Eventually though, the Tigers gained some momentum after an impressive block and turnover by Tara Robinson leading to a few consecutive baskets. With this early flurry the Tigers were able to jump to 7 point lead at the end of the first quarter. It was incredibly tight in the second quarter. Both sides were holding off one another from getting on the scoreboard until Teonna Campbell was rewarded with a free-throw. Following this, the Bearcats elevated their defensive pressure to a new level, keeping their opposition completely scoreless until 6 minutes in. Through shutting down the Tigers for the majority of the quarter, West was able to score 9 successive points and for the first time in the match take the lead. Southern managed to slight hang in, trailing by 2 points at half time, setting up for a massive second half. Unfortunately for Tigers’ fans, West’s momentum carried over into the third quarter as they scored 13 points to their 2. The Bearcats had a phenomenal start due to their unreal attacking nature. They were so swift at counterattacking that it allowed them to score so easily, where Southern were working tremendously hard for every shot they made. West were playing their best basketball to date. Eventually, Ta’Rea Cunnigan made a vital three point shot to keep her side alive, however they still found themselves down by 10 points at three quarter time. The Tigers had quite the sluggish start in the final period. They just couldn’t seem to get their game going, missing vital shots and giving up too many turnovers. West briefly capitalised on this, extending their lead to 17 points at one moment. Though, just when it looked like the visiting side was about to run away with the game, McKendrick lifted for her side scoring two back to back shots from consecutive steals. This resulted in a slight comeback from the Tigers as they narrowed down the margin quite extensively. However despite this late game resurgence, it was all too late. West were able to handle the pressure, keep their focus and ultimately close out the match in the end as victors in what was a tough and physical encounter. The Southern Tigers will no doubt be utterly disappointed with their loss on their home ground but West Adelaide proved to be the better side on the night, thus moving forward to the semi-finals. 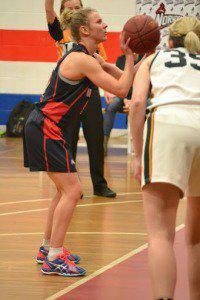 Despite her sides’ loss, Mollie McKendrick had a phenomenal night scoring 21 points and 10 rebounds. Ashlea Vordermaier was best on ground for the bearcats with 20 points and 3 steals.